Cute 50th birthday card for her. 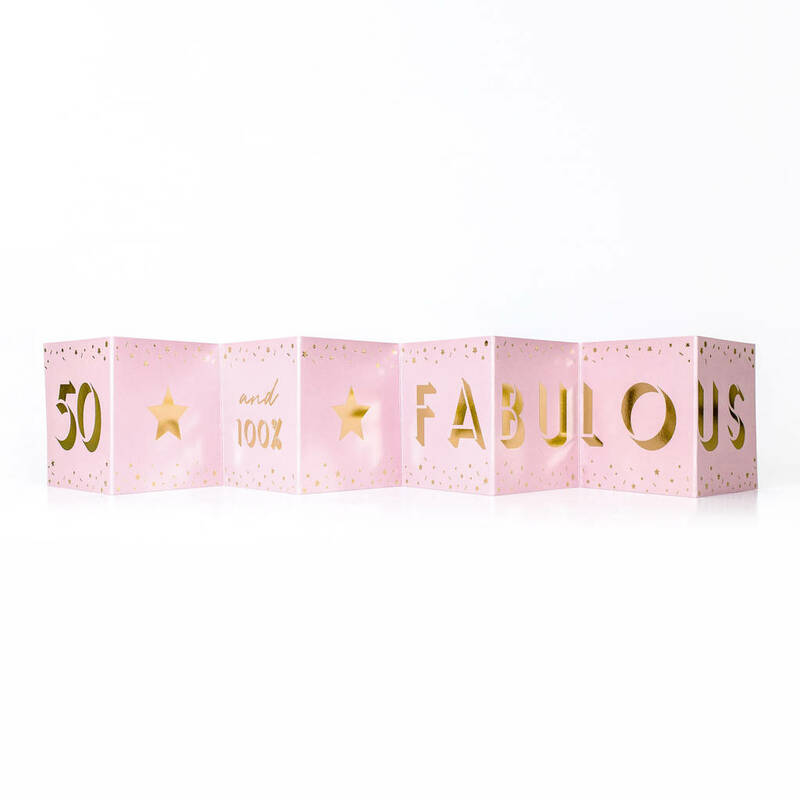 A mini pearlescent pink and metallic gold foil '50 and 100% fabulous' boxed concertina card. 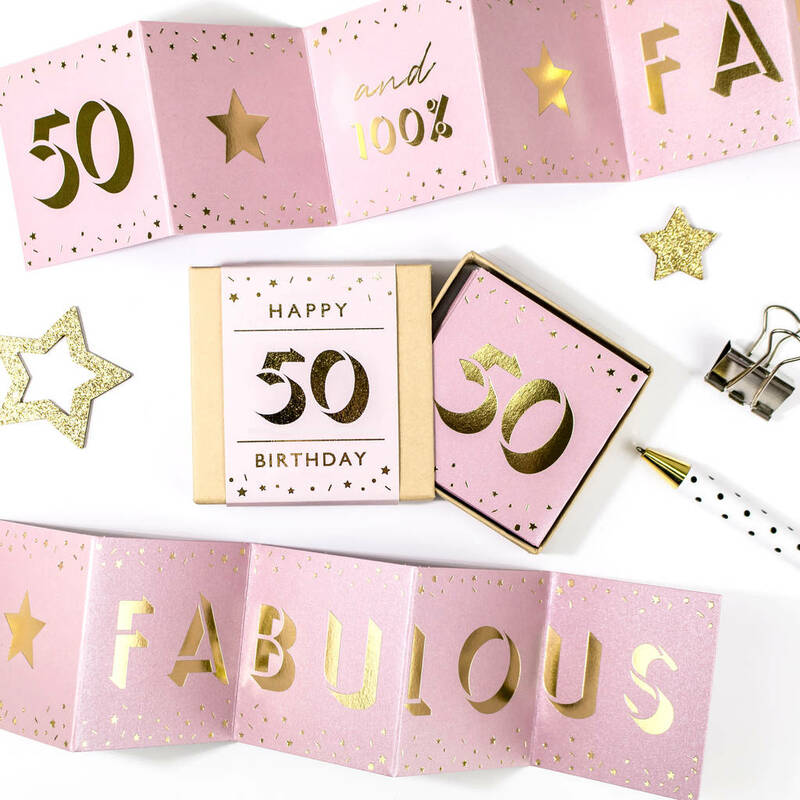 Open the mini gift box and out pops the cutest concertina card, which, when opened, reveals the message in gold foil '50 and 100% fabulous'. 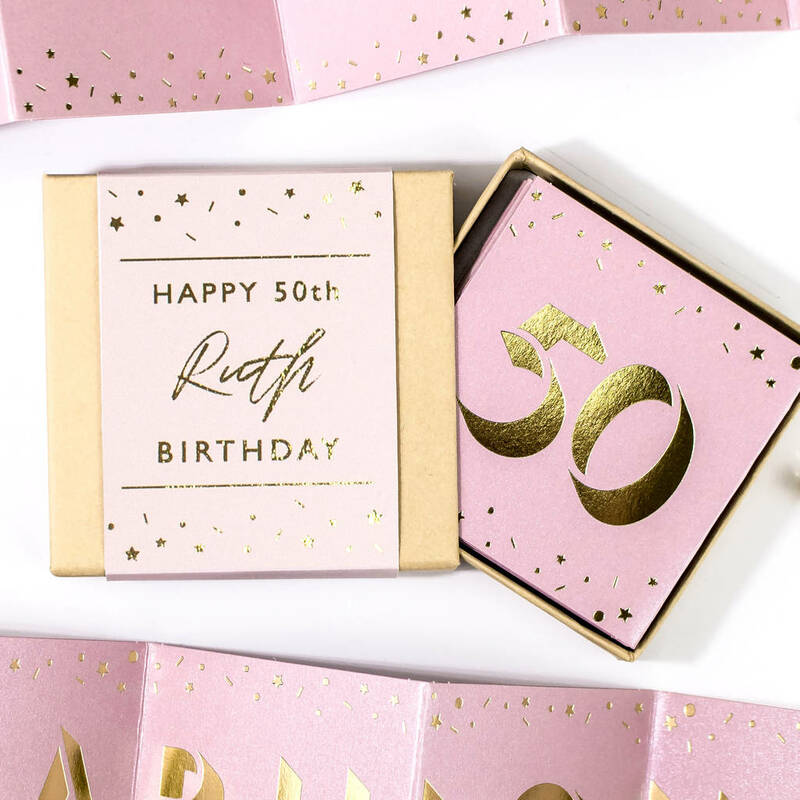 The gift box is packaged with a pale pink paper wrap with gold foil text that says 'Happy 50 Birthday'. 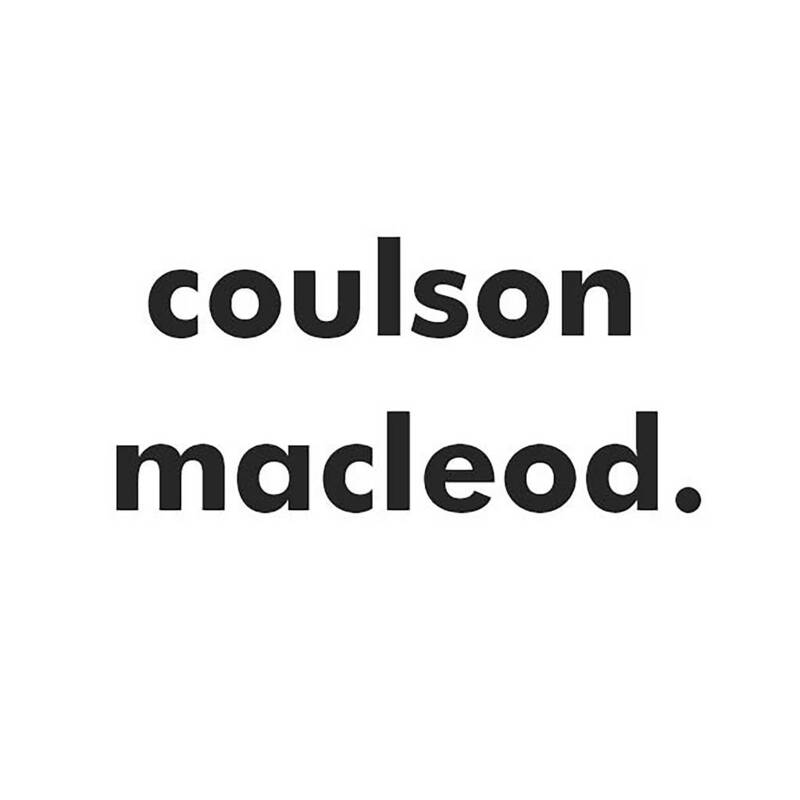 If you choose a personalised option then the wrap will feature their name. Comes in a kraft brown mini matchbox. Posted in a rigid envelope. 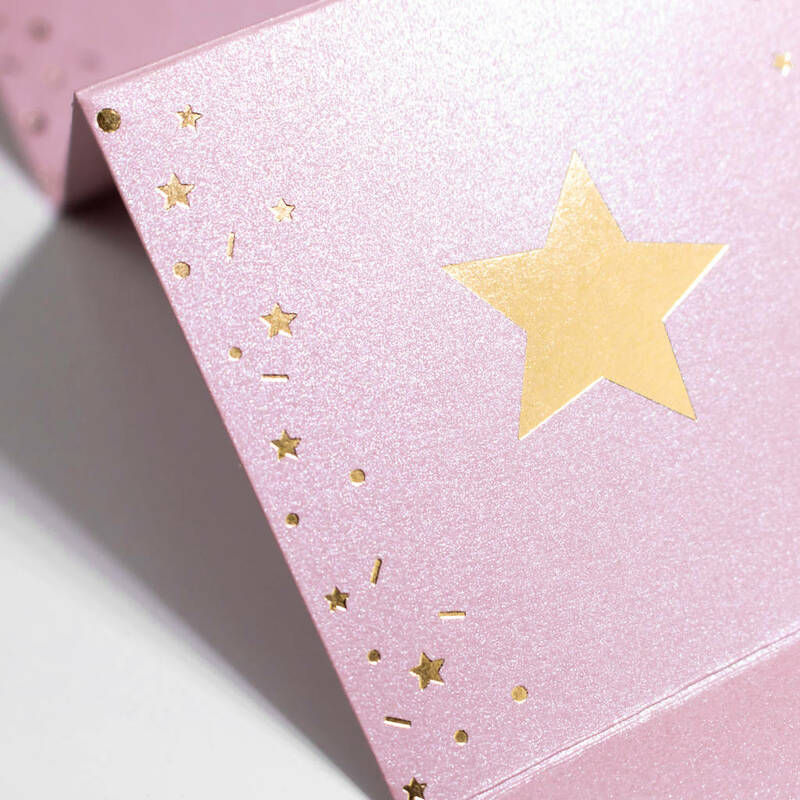 Please note that due to the nature of the hand-foiling process there may be slight variations or imperfections on the metallic foil text on the paper wrap around the box resulting in every finish differing slightly. Your wrap is unique and imperfectly perfect.